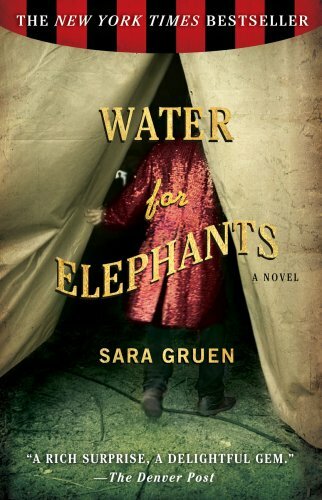 I just read Water for Elephants ... started it last night and finished it today, because I couldn't put it down! Has anyone else read this, or seen the movie? I'll have to check out the film! I just struggled to finish Pride and Prejudice and Zombies. That trilogy is by a different author, and extends the Austen story, yes? 'Cause that first one was just horrendous writing. Oh, the writing in those Zombies books is horrendous. But I thought they were funny and couldn't resist how cheap they were during the Kindle sale.